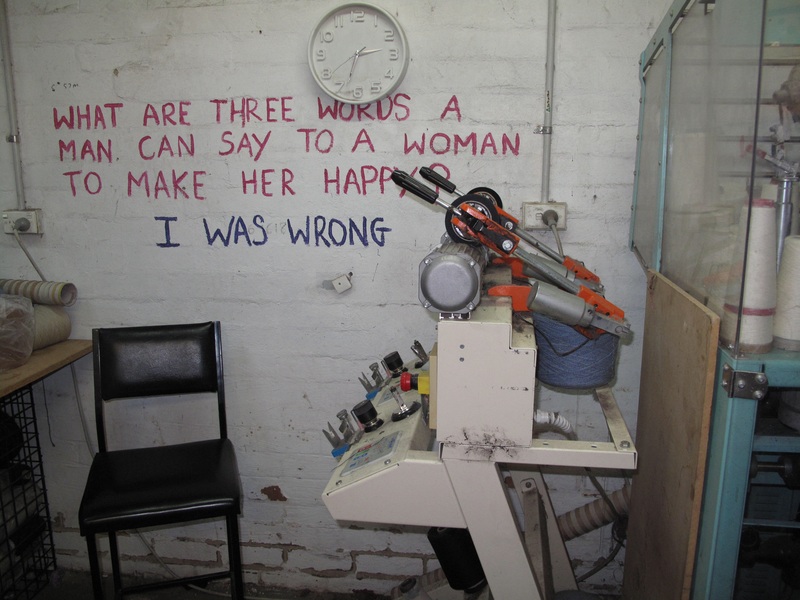 One family member at least is almost always here, probably out the back where all the machines are. 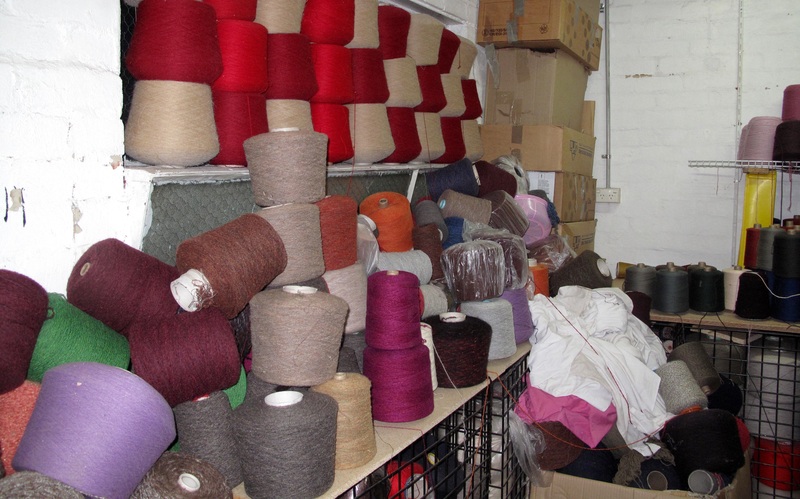 Just around the corner from where I live in Coburg is the most comprehensive variety of woollen yarns, blends and colours in all of Australia . 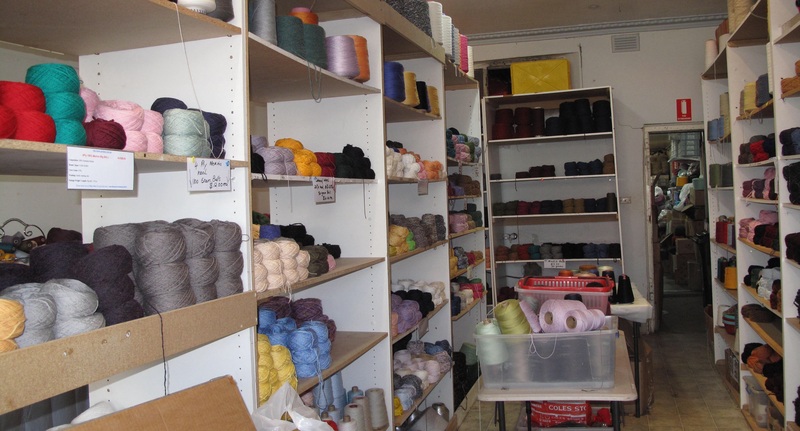 . . It’s the hub for all interest in textiles and needle-work: including hand-loom or machine weavers, knitters and crocheters, embroiderers, dyers, tatters, sock-makers and other varieties of occupations either making or embellishing textiles. One family initiated, maintains and sustains this hub where all family members – even grandchildren – have contributed over the years, which adds flavour to the atmosphere of happiness within these walls, it’s a great pleasure to visit, the visual and textural equivalent of a fabulous perfumery. The original impetus came from an international expo of textile machinery in Paris, which father Kerry Dickson attended as a delegate from the Melbourne College of Textiles Pascoe Vale. 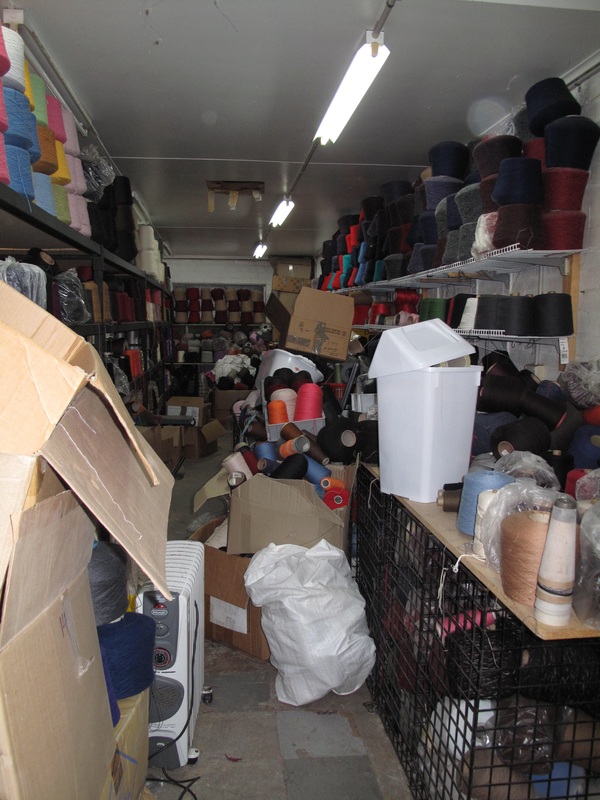 Kerry was introduced to new Italian Simmet machinery that achieved the task of mixing a variety of yarns into one multi-stranded, colourful and very versatile yarn. 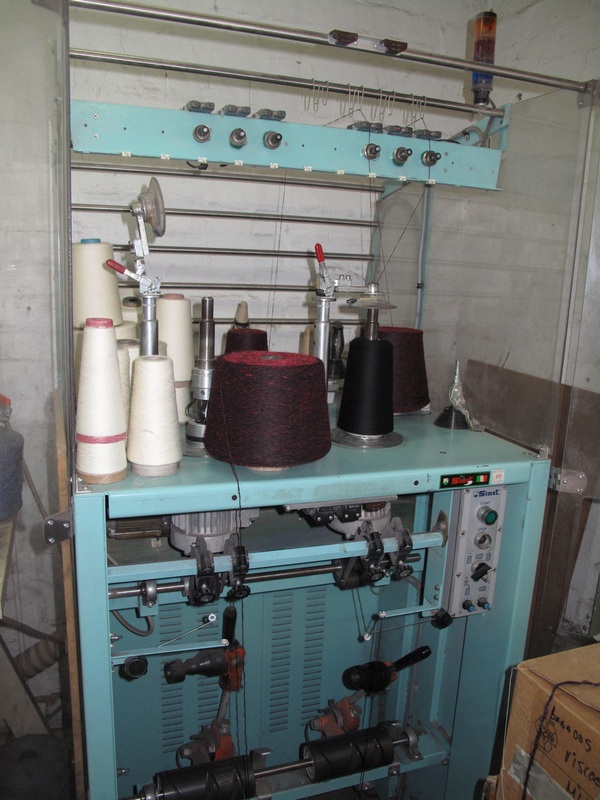 Here is the brilliant machine that combines different yarns into something stupendous. 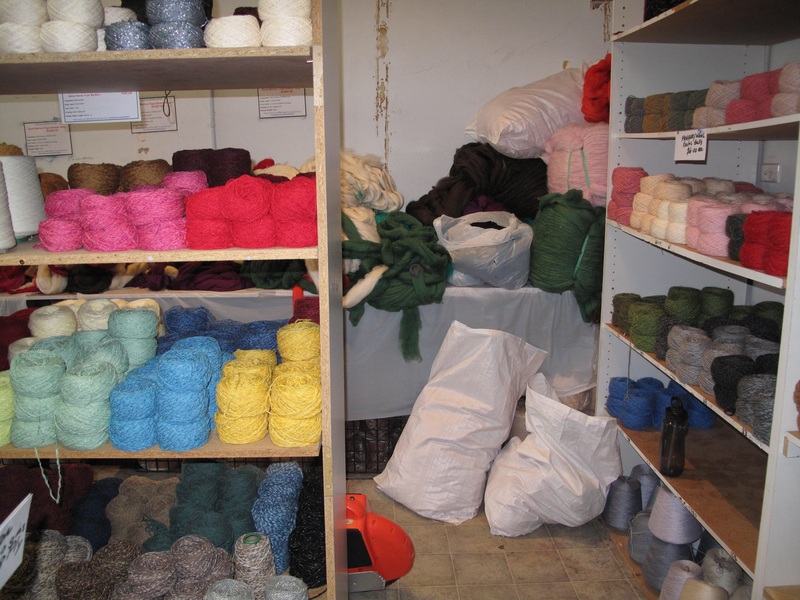 There are two different coloured yarns here wound into the one yarn on the big spool. 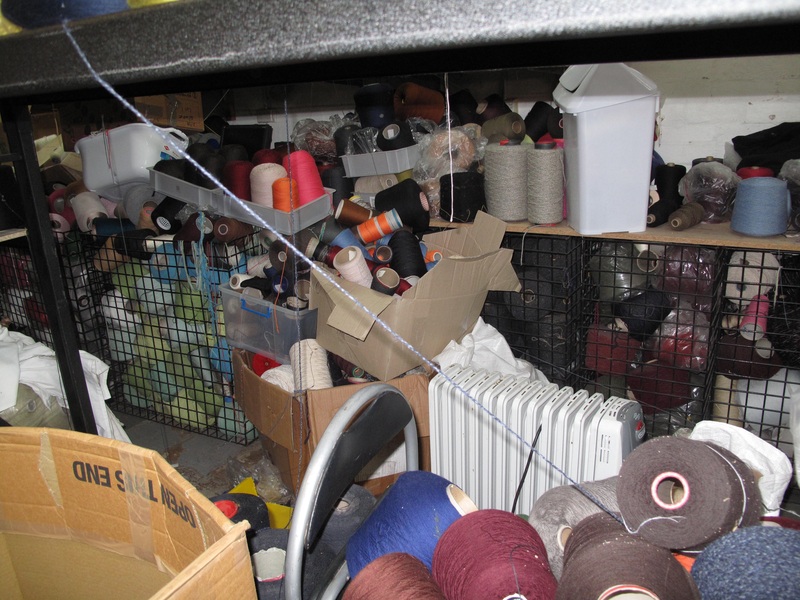 At this time some twenty five years ago in Australia there were many small mills that inevitably amassed beautiful but redundant yarns and Kerry immediately recognised the opportunity to prevent wasted materials and create a new explosion of yarn-variety for all the many textiles- and needle-workers – both hand-made and made by machine weavers, knitters and so on. A happy man is a wise man . . . In the beginning Kerry and his wife Patricia set up a small shop in Pascoe Vale while their son Aaron undertook a textile apprenticeship. 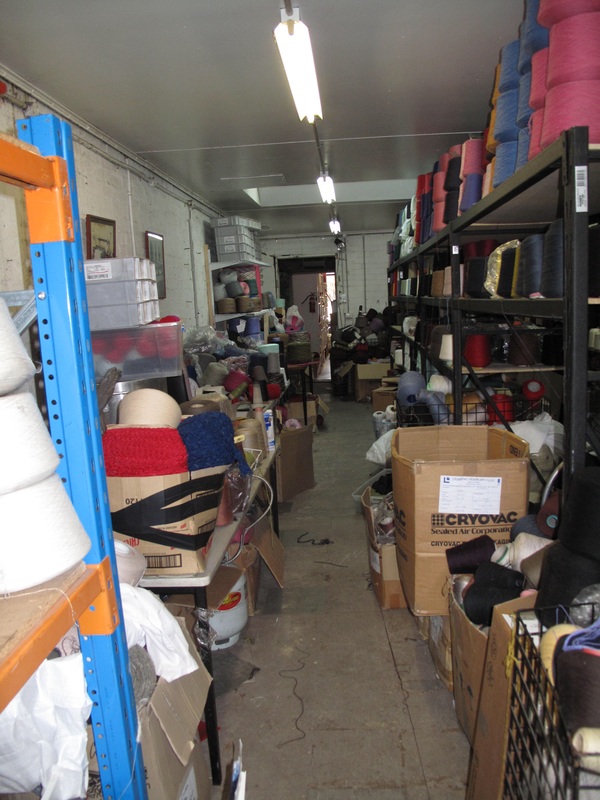 Before long they bought their now famous shop in Reynard Street, Coburg and the wonderful name The Yarn Barn came to the tip of their tongues. Things can become tremendously chaotic out the back in places where all the work happens however there’s nothing quite like creating order out of chaos as we all know. Kerry is a contagiously happy man. He particularly enjoys his weekly visit to the wonderful Camberwell Market and the many students and guild-members who come in groups to visit the shop. He says: In this business you only meet nice people! He reminds me of Postman Pat.